If you have used any of the new widgets in LiveCode 8, to ensure that these are available to your built app, you need to include them in the Standalone Builder when building your app. 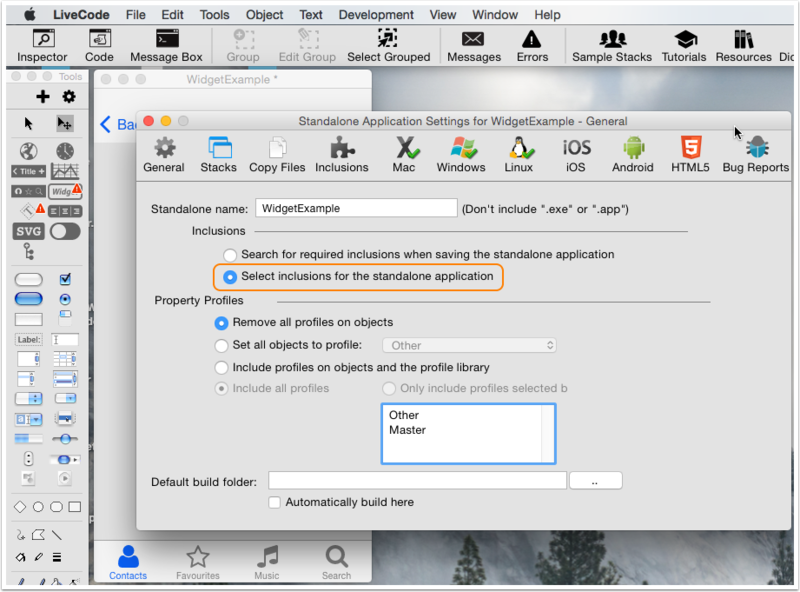 Select the Standalone Application Settings from the File menu. If you have not already saved your stack you will be prompted to do so. In the General Pane choose "Select inclusions for the standalone application". Go to the Inclusions Pane and check any widgets you have used in your app. 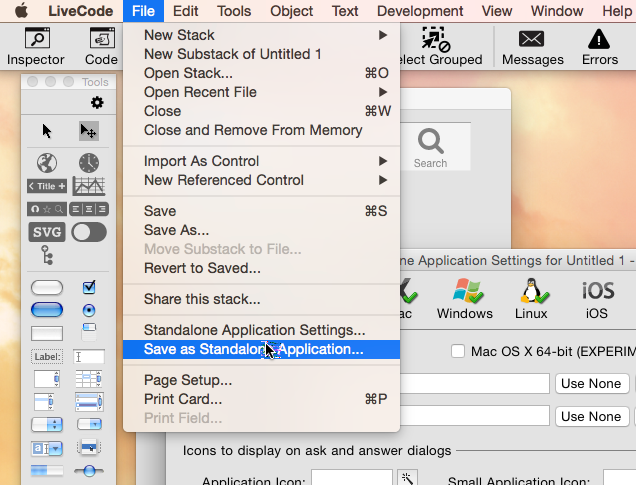 Go to Save as Standalone Application under the File menu. Save your app as prompted. 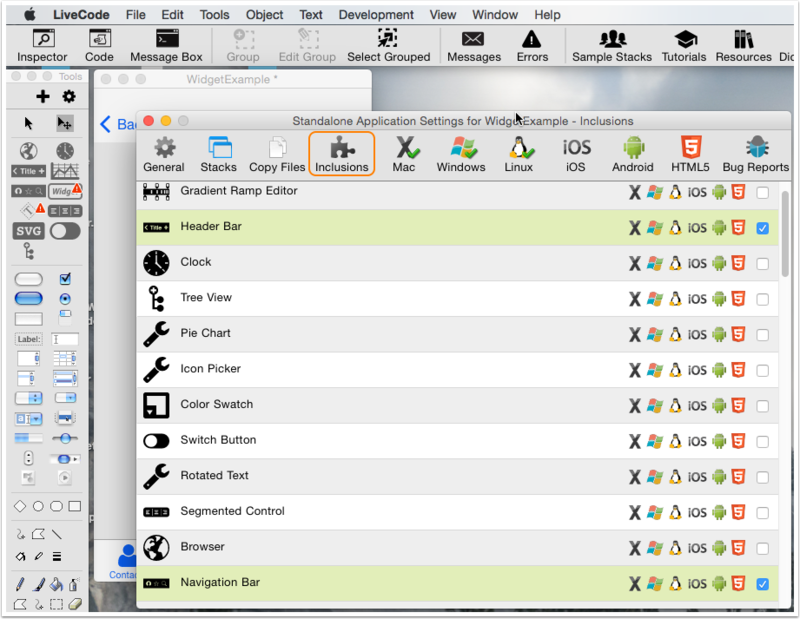 It should now run on its own and use the widgets selected. Thanks Jim, I have updated the lesson.